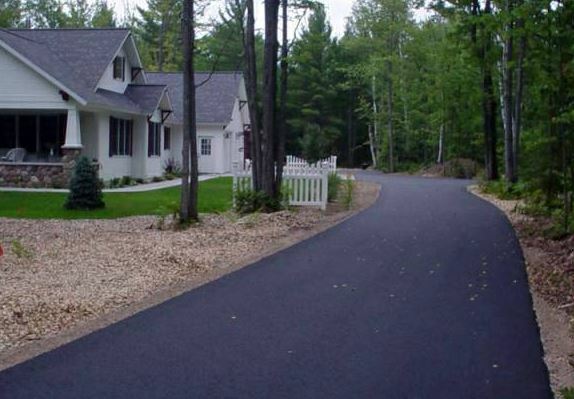 Need asphalt (commonly referred to as blacktop) work done? 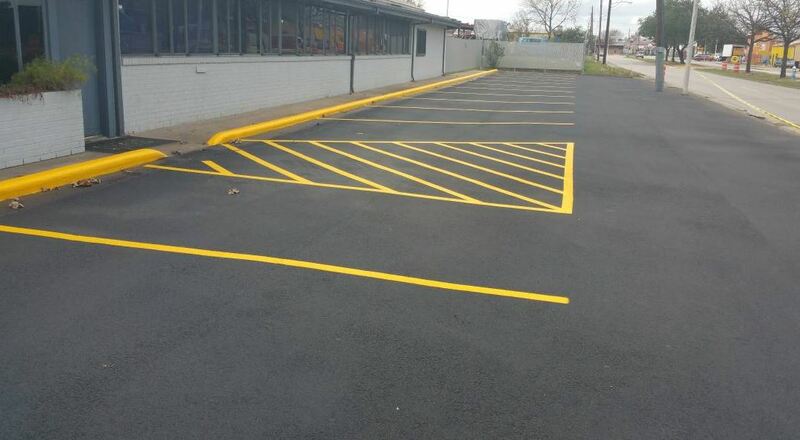 Maybe it's sealcoat application or striping of a parking lot? Perhaps your driveway needs re-paving or a fresh coat of sealant? We're Chesapeake's best paving contractors, and we provide FREE estimates for every project. Simply call (757) 364-0371 and receive a quote from the pros! We used to tease among my friends that our state animal was the construction cone. ​While it's said so light-heartedly, it's important to understand the need to maintain our infrastructure and how important of a job it is for those who spend countless hours outdoors, in the elements, to enhance and protect the roads we all use daily. Whether it is for a major interstate overhaul to a parking lot construction that shuts down during one of the busiest holiday weekends, we all have seen projects like these affect us in a variety of ways. ​Chesapeake has had many projects that have gone through some recent facelifts. One of the most recent and notable projects was the repaving (again) of Elbow Road, between Indian River Road and Centerville Turnpike. When Hurricane Matthew came through Hampton Roads back in October 2016, it took out an extensive piece of this road that had only been recently completed. Stumpy Lake had overflown with so much water that it flooded out the roadway and tore up the freshly reworked blacktop. This ended up costing the City the expenses with having to repave the road and cut off access for an extended timeframe, to allow for the recession of water and the rework of the project. I can remember being directly affected by this project, as it took away a means of getting to Chesapeake. At the same time, the Bridge on North Landing was also closed for repairs, creating a traffic nightmare for those who travel between Chesapeake and Virginia Beach. ​Asphalt is primarily used as a main component in road construction. Another name for this material is “bitumen.” Basically, it is a thick, black sticky material that can be molded to form what we recognize as blacktop. As an owner of a white vehicle, I assure you that this material and I are NOT friends. I cannot tell you how many summer afternoons I have spent trying to get this blessed tar off my undercarriage and wheel bases. The task is long and arduous and I curse the task each time I sit down to do it. ‘Why did I buy a WHITE vehicle?’ I ask myself. In fairness, I know I am not alone in this affliction. But nonetheless, after I finish pulling the last speck of tar from my car, I am always cautious about driving on a freshly paved road again, that is, until I reach the next freshly paved stretch of road! There is something about it that feels so much smoother to drive on. My thought is - if this road substance sticks this well to the paint of my car, I am certain that it can hold up to a lot of other things. As I said, there is something that feels great about driving on a freshly paved road. The ride is smoother and feels less bumpy. I am often brought to a scene from the animated movie “Cars” when I think about all the happy car characters that were so excited to be riding on a ‘new road.’ But blacktop is a very porous material, so unless you seal these surfaces once they are laid, to prevent against extreme weathering and wear, that smooth ride will not last very long. In Coastal Virginia, most of us feel very fortunate that we live near the ocean. Unfortunately, blacktop (if it could talk to us) does not agree with this assessment. You see, salt air has the tendency to break down asphalt, which is why it is so important to take the necessary precautions to seal the blacktop, after it has been poured. Protecting the investment, aka tax payer dollars, is important! Sealing the pavement protects it from being broken down by not only weather, but also gasoline, petroleum and oils from vehicles. So, the next time you see milling and paving, take heart that the workers are doing their part to protect the investment of that freshly laid asphalt. ​Call us at (757) 364-0371 for a FREE estimate or pres the button below.